UNPLUGGED – How to troubleshoot a dead device; don’t overlook the easy fix in search of a big problem. “Won’t turn on” is a common problem. How many times does this happen! A lot. This is not a guess: I know this. I’ve spent my entire career writing about, and working with devices that require power. Control boards, PC’s, Servers, Storage Hardware, Modems, Routers, UPS’s, PoE Devices, TV’s, Home Appliances, Printers, Scanners, Fax Machines … ok, I’m going to say it: Telex Machines (I started young), Pagers, Cell Phones, 2-Way Radios, Peripherals, Components, External Devices… Electrical Power, Nuclear Power, Battery Power. Done it. Additionally, I started at the bottom, and worked my way up within these industries. This seems to have done two amazing things: taught the basics, and prevented thousands of dollars in service and repair costs throughout my life. True Story: I was called to my boss’s office, to find him with the handset ONLY, plugged in to the phone jack/RJ11 on the wall. Ok. Are you getting this? The little curly cord… that connects to the thing you hold to your head…. 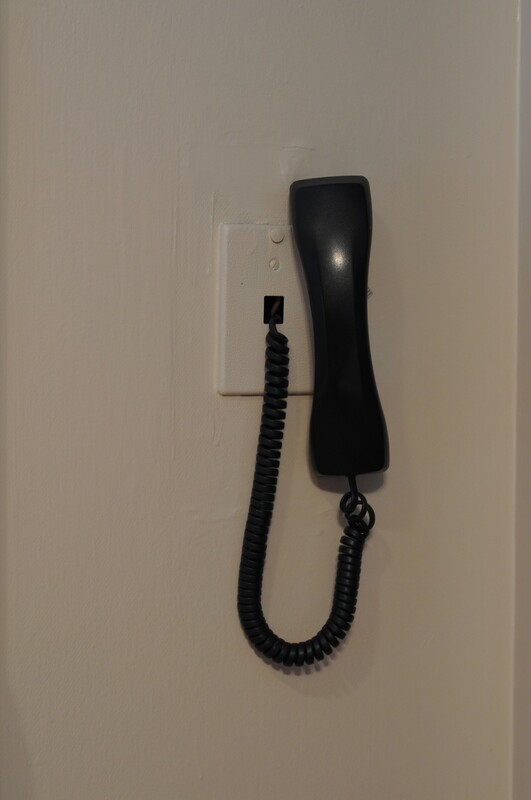 Plugged directly in to the wall, bypassing the desk phone completely. “I can’t seem to get this phone working,” he exclaimed. How many times were my co-workers dispatched to a business, to find the cleaning service unplugged something to use the vacuum the night before? Too many. Turn any power switches to the off position before starting. Follow the cord to both sources: The outlet, and the device. Don’t just push it in. Remove it, and look at it. Is it melted? Are any little metal pins mangled? Does the cord look worn? Try another outlet currently powering a healthy device, run an extension cord if the device can not easily be moved. Lamp working? Turn it off, unplug it, and plug in your malfunctioning device. If you use a power strip: You could have a bad outlet on it. Test using a working outlet. Note: Laptop power cords have TWO cords that each connect to the AC adapter/charger. Be sure to disconnect and check all four ends, and if you’re ordering new, make sure it includes both cords. See here. Notice how it says, “power cord included”, or “NOT included”. 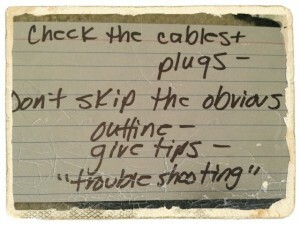 Several good sources for cables: C2G, NewEgg, SearsParts, PowerPayLess. Good luck, and don’t stick your fingers in the socket.